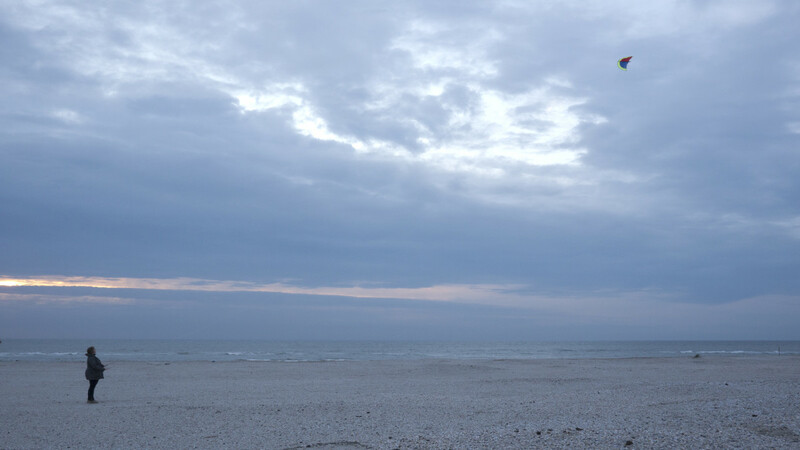 iii invites you to explore the Zandmotor as a playground for new sensory experiences. 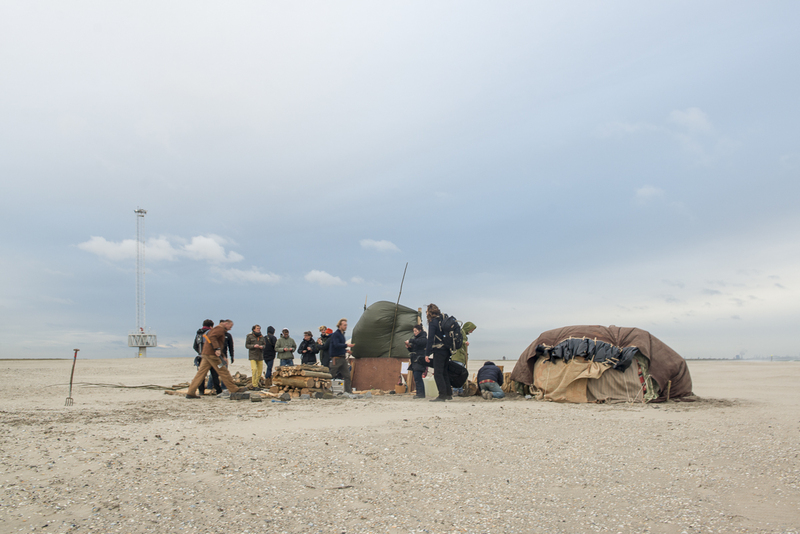 Following Kaffe Matthews’ Pedalling SeaSides at Kijkduin in 2015, iii has commissioned a series of new experiential artworks that engage with this unique location on the coast of South Holland. 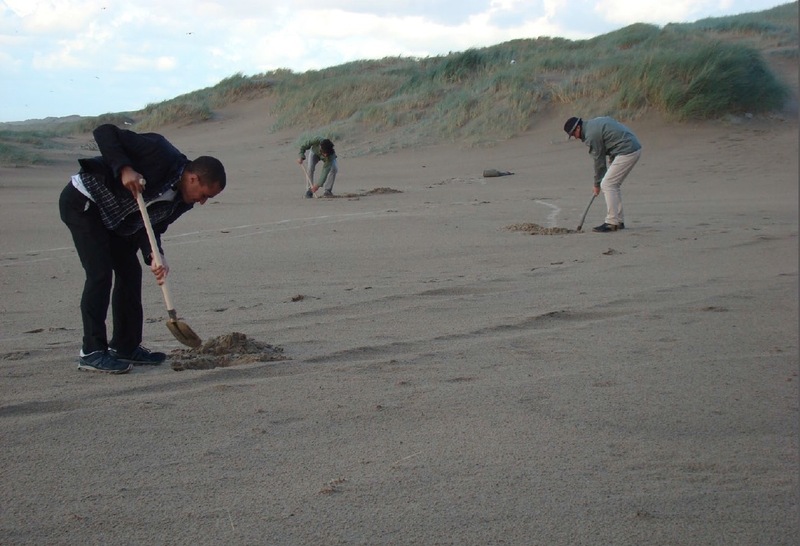 Sand Songs is a program specifically conceived for the Zandmotor by an international group of interdisciplinary artists and students that have been invited to imagine this location in the terms of a musical instrument that is performed by human activity as much as by the natural elements. Sand Songs will present several new productions originating in iii’s guest residency program: Wind Instrument by Marije Baalman, in which flying a kite is turned into a new way to make electronic music, Pulse Jet Symphony by Lars Kynde, Tobias Lukassen and Christian Liljedahl, in which the technology of jet engines developed for V1 rockets during WWII is employed to compose music articulating the speed of sound on a geographical scale, and Digging Piece, by Adam Basanta, David Pocknee, Maya Verlaak, Ana Lemnaru and Grzegorz Marcinak, which invites the audience to take part in a musical treasure hunt, searching for sounding objects buried in the sand. These works will be presented in combination with projects of students originating in the Elements Lab directed by Cocky Eek at the ArtScience Interfaculty. 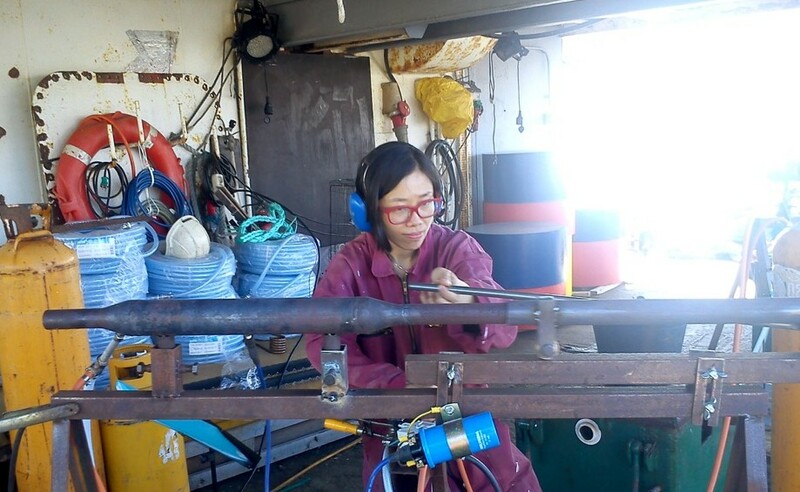 Over the past year, students of the ArtScience Interfaculty have been working on the Zandmotor under the supervision of Cocky Eek. Lab participants Kay Churcher, Cecile Gentili and Sophie Rust will present the outcome of their research. We will explore the Zandmotor and work on our awareness of our sonic and sensorial environment. Each walk will involve a group of participants and guides. The guides will lead participants on a blindfolded walk. 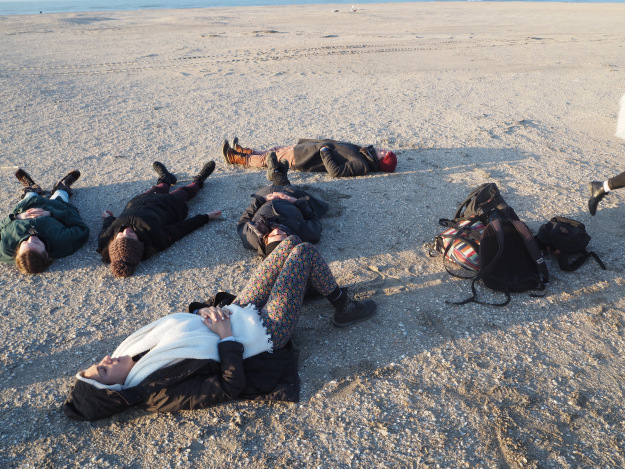 Then participants will take off the blindfolds and retrace the walk together, exchanging impressions on the experience. The evening will end with: Climate Proof, a film by Esther Kokmeijer in collaboration with Satellietgroep , and will also feature an unusual cocktail bar Tasting the Zandmotor: Waterpionier by Satellietgroep & De Onkruidenier as well as a very localized pirate radio station FM Zandmotor Radio with Fauna. During the workshop participants will learn about pulsejet technology and get hands on playing the Pulse-jet Trombones. It is recommended to bring own ear-protection as the instruments are very loud. Participants are also invited to create scenarios for future use of the instrument and technology in own projects or in future collaboration with the artists. Starting at 17:00 by the Argusmast, duration 1 hour. Please sign up by writing to larskynde@hotmail.com. Participation is free. The Zandmotor is an artificial peninsula on the coast between Kijkduin and Monster. From the Haagweg there is a bicycle path through the dunes to the beach. Especially for Sand Songs, the public will be picked up at the bicycle stand in the dunes and escorted to the location of the performances. Do you want to attend? Please register at manon@instrumentinventors.org and we will inform you on the route (by car, bicycle and public transport) and what you need to know when visiting the Zandmotor. 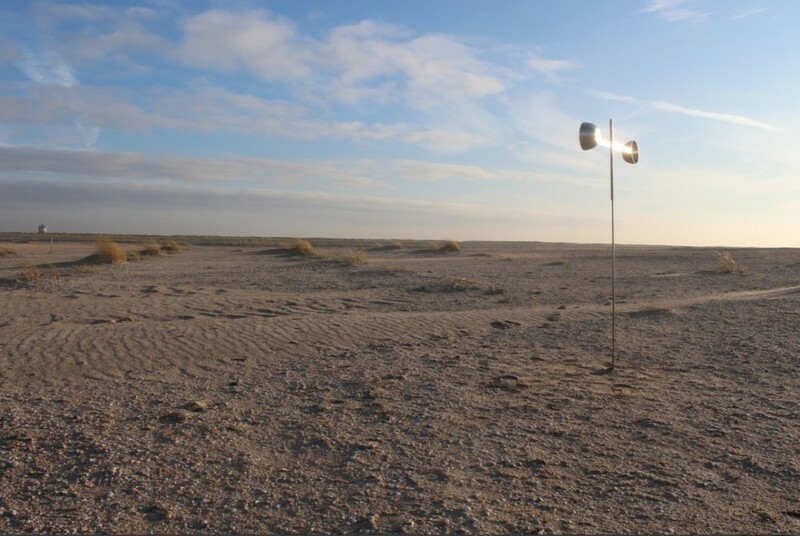 The program of Sand Songs is produced within iii’s international artist-in-residence program, in collaboration with the ArtScience Interfaculty at the University of the Arts The Hague, Satellietgroep and TodaysArt and with the support of the Creative Industries Fund NL and Stroom Den Haag.